Home > Special Offers > parts-service > In Need of Service or Repair? In Need of Service or Repair? 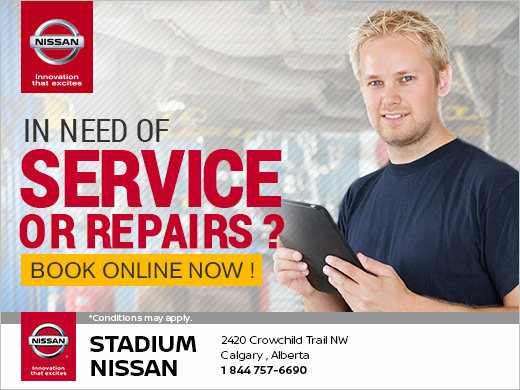 Take advantage of the service department at Stadium Nissan! For all of your repair and maintenance needs, come into Stadium Nissan. Our expert team of technicians will keep your Nissan vehicle running as smoothly as when you first bought it! Contact Stadium Nissan for more information.